Hussain apparently had been spoken-to by authorities about his online activities. Sources say Toronto Police, the OPP and the RCMP have all had an interest in the now-deceased alleged shooter. 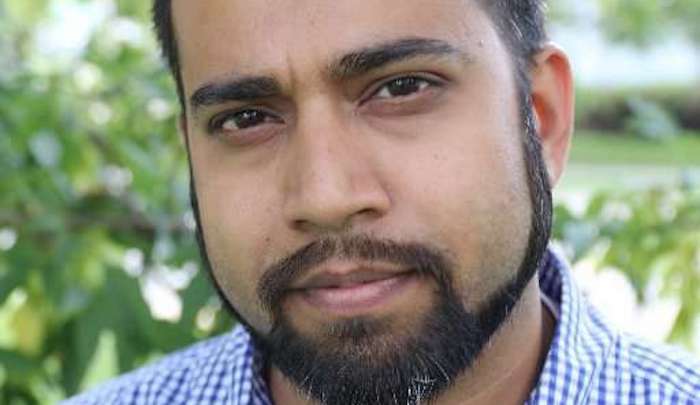 Meet the Taqiyya gigolo who thought he could convince the world that the Canadian terror attack had nothing to do with Islam. Mohammed Hashim is the “driving force” behind the Muslim Brotherhood-linked National Council of Canadian Muslims (NCCM). This ought to cast the family’s statement about Faisal Hussain being mentally ill into doubt, and reopen the possibility that this was a jihad attack that is being covered up by Canadian authorities, but the establishment media in Canada is likely to do whatever it can to shore up this sagging narrative. The CBC’s @shanifanasser actually reported yesterday that the Toronto Terrorist has a “million dollar smile”. They’re humanizing a murderer, and minimizing his victims. Here’s that smile that warmed the CBC’s hearts. We’re too often offered a false binary: either mentally ill or a jihadist. Investigators are looking into whether Hussain may have lived at one time in Afghanistan and possibly Pakistan, the source said. There is no indication that Hussain was directed by ISIS to carry out the attack…. Then there’s the Iranian-born man who stabbed and injured 14 people on a bus in Germany. Police have refused to say what motivated him, and once again are suggesting he was just mentally ill.
Who diagnosed him with what “mental illness,” where and when? The “authorities”, of course! Right there on the spot!